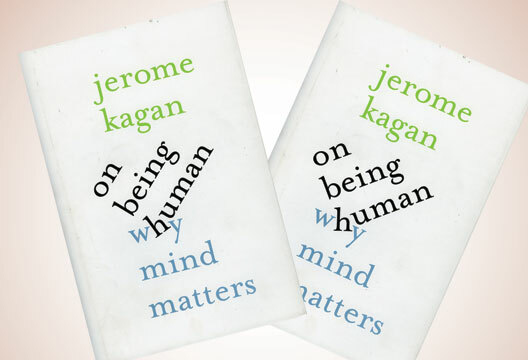 John Marzillier, psychologist and writer, reviews Jerome Kagan's 'On Being Human: Why Mind Matters'. George Orwell suggested that a writer often writes out of the ‘desire to see things as they are, to find out true facts and store them up for the use of posterity’. This collection of 12 essays by the distinguished social scientist Jerome Kagan bears out Orwell’s observation. Citing another famous essayist, Montaigne, who was preoccupied with the question ‘What do I know?’, Kagan asked himself a slightly different question: What does it mean to know something? Drawing upon his prodigious knowledge of the social sciences, he answers the question in essays that range from the basic structure of human knowledge (schemata and words) through the relationship between brain and mind (what genes actually tell us, for example) to topics such as the family, education, expectations and feelings. He ends with an essay entitled ‘Does a moral person behave morally?’. In each of these essays facts abound but never intrude. We are not subjected to the tiresome litany of reference lists or footnotes. Instead, suggested readings are appended under chapter headings at the end of the text. That sensible decision made the book a pleasure to read. Each essay stands on its own, and it is possible, and probably best, to read one essay and reflect upon it before moving on to the next. Like all good essays they will repay repeated reading. What I thought is truly valuable about this book is the way Kagan is able to draw upon a breadth and depth of knowledge that comes from a lifetime of academic work and to marshal the facts into lucid and intelligent arguments that a non-specialist can follow. He is an elegant writer and he knows how to frame a sentence for maximum effect. On genes he writes: ‘…it is true that without genes humans would be nothing. But because no genes code for water, it is equally true we would be nothing if we were only genes.’ He does not shy away from sensitive or difficult topics. But he is never bombastic or polemical. Even when he demolishes the mistaken interpretations of research scientists, as he does in his analysis of the use blood-flow measures in MRI scanners, he does so with a degree of sympathy to the difficulty of the task. The overriding impression I came away with was of a wise and thoughtful writer and of a book that will appeal to all those who want to know what psychology has to offer and, above all, why the mind matters. - What ‘one nagging thing’ does Jerome Kagan still not understand about himself? Read his contribution to our 2009 feature.